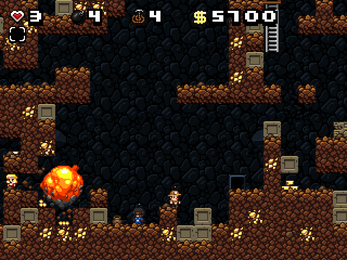 Spelunky SD is an expansion and modification of Derek Yu's Spelunky Classic. 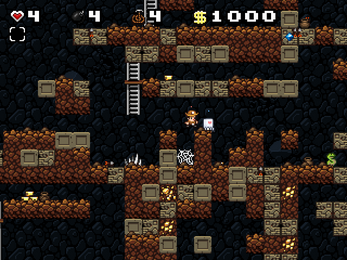 It introduces a number of improvements to the original game, fixing bugs, adding optional features (such as commands or game modes), and, most notably, adding online multiplayer support for up to 4 players. There used to be a server list for maybe two years ("multiplayer" menu item in this version), but people didn't really play the mod that often, so I eventually stopped paying for that, and now there's not. 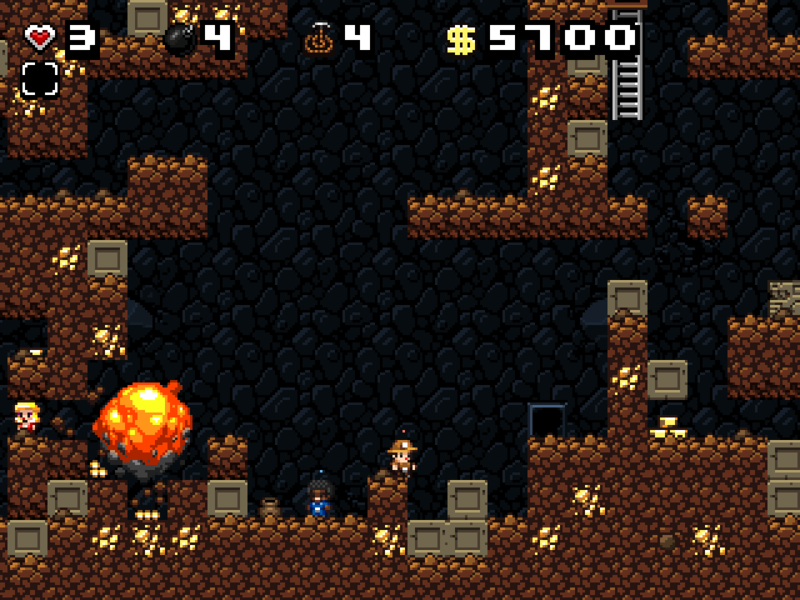 Maybe there's a Spelunky-related chat somewhere where you could look for people to play with? As to skins, I regret to inform that the weird robot thing is about how far my art skills go. The rest of the characters are those that were already playable in the base game. Seems like the screen is half black on the left, then half the screen on the right? 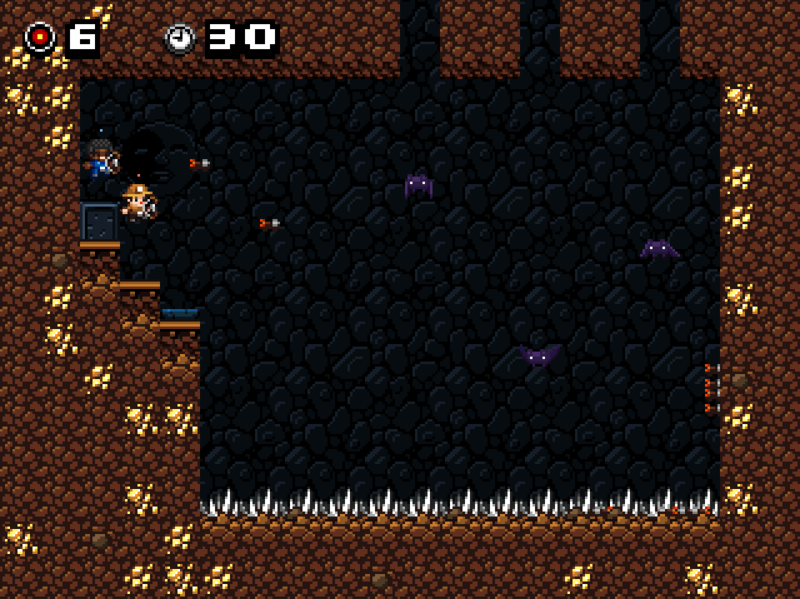 So it's as if the game's screen is pushed over 50% of the way. Is that on Linux? Someone had that issue before and it turned out to be something conflicting with their window manager, but I cannot recall what it was specifically. In that case I have no further guesses other than trying to update graphics drivers or running the game windowed. I have answered that exactly one comment below yours. oh, well i just downloaded the previous version. So im confused on how to map the gamepad controls in this build, it was much more simple in past builds with the menu. But now with typing /remap i dont know how to bind controller inputs. If you could help that would be awesome. 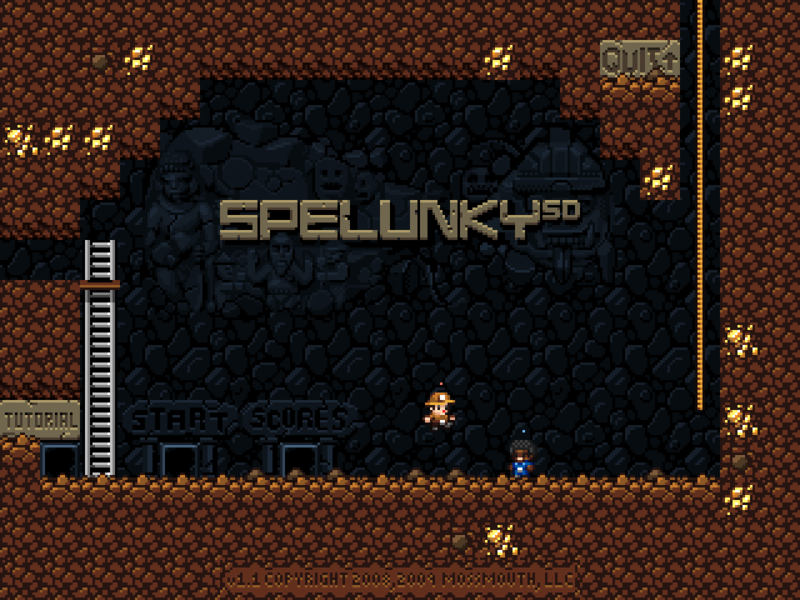 Sorry for the mess - Spelunky SD is (I think) my 3rd most popular mod, but also the one that utterly failed to attract any support for my months of work (grand total of $11 in donations), so, to save time, the newer features are mostly mashed up from parts of other mods or personal projects, and these don't always work with each other, so they get swapped out for something else that still works whenever I need to update a big chunk of it. Sad to see that not much support was put forward, this is a great mod and I'd love to see more work put towards it, but thats your choice. 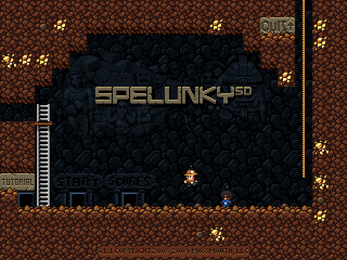 My friends and I have been playing this mod over Frozlunky for Spelunky HD everyday for a cweek or two now because of more stability and a higher max players and better screen systems. Good Job dude. The dependency list can be found in this old post. There's a chat command called "/remap". Writing it as-is shows names of inputs. Doing "/remap <name>" shows what the current mapping is. Doing like "/remap attack S" changes mapping. Supports some basic expression operators (e.g. "S|D" to accept either of two, or "gp1x<-0.5" for custom deadzones on gamepad). Uhh like can I play this like...uhh local...uhh coop???? UHHHHHHHHHHHHHHHHHHHHHHHHHHHHHHHHHHHHHHHHHHHHHHHH? It doesn't have local coop because it is not possible to zoom out the camera (like in Spelunky HD) due to pixelart, but you can open an extra window(s) of the game alongside, "host direct" on one of them, and "join direct" (with default IP-port) on the other(s). 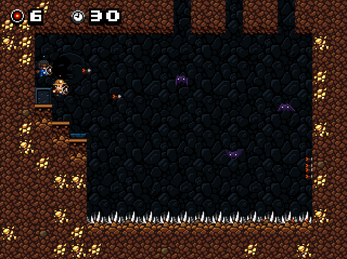 Then each window will follow their own player, kind of like ad-hoc split screen. Removing "steam_api.dll" should fix that. I was doing some tests as to whether SSD could be made to use Steam API like Wasteland Kings Together does, and apparently left the files in. OHMYGOSH! I love this game but multiplayer is amazing. Thank you so much for putting this together. Really. This is great. Ok so it's probably asking a lot but what would really be cool if you could do a local, online, or couch multiplayer for Binding of Isaac. This would be phenomenal, I mean I know it would be a lot of work because of game mechanics and all but that would be absolutely amazing. Alas, it's not so easy - I was able to add online multiplayer to this selection of games because they are all freeware titles, and the developers had published the source files for them somewhere. While (with a lot of time and effort) it is possible to mod some games even without having the associated source code, it is highly impractical, and I think in such cases it should be up to the developer of the game to hire someone to do online multiplayer implementation (moreover if the game is commercial and stuff). Additionally, the original Binding of Isaac is said to be made with very outdated tools, noticeably lowering the odds of it being possible to do anything new with it, even if the developers were to decide to do something with it. No idea about the new one.